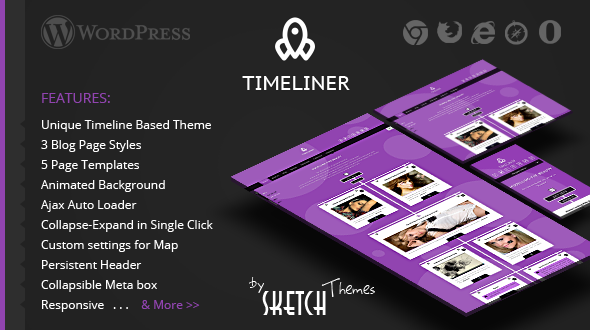 Timeliner is a premier timeline theme for WordPress. 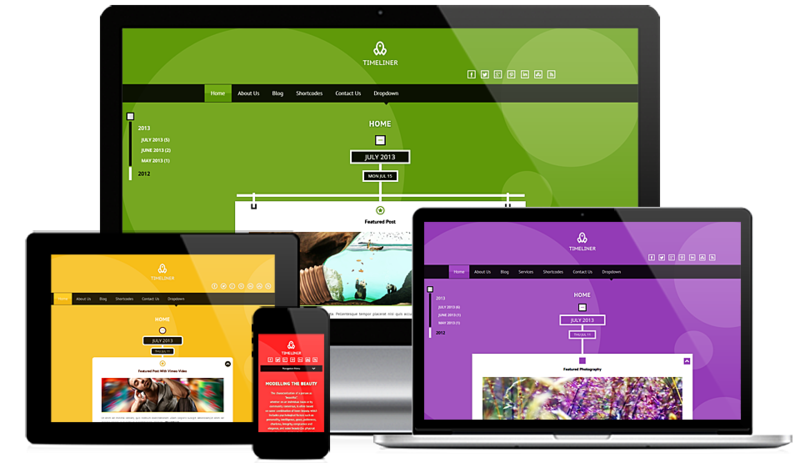 Timeliner is a minimal, clean, modern and highly customizable theme. It allows you to create their website around any niche without the need of any complicated HTML code knowledge. Be it a Blog, Portfolio, Corporate, Agency, any other kind of website Timeliner will be a good pick for you. With our advanced admin panel, tons of customizations are possible and that’ll help you redefine your website’s brand value. Also, this theme comes with retina ready feature. You can see great details on any devices screen. Unlimited Color Skins – You can change the colors of Theme by Single Click. Tested With All Popular WordPress Plugin. Responsive Columns Layout – you can show your content using diffrent column styles. Link buttons – diffrent background, size(small,medium,large), alignment(left,right) and font colors + link url, target(_blank default) attribute. Blockquote – blockquote with author name, author link and link text. Dropcaps – 3 type of dropcaps with diffrent background color, font color and size. Content Boxes – 5 diffrent type of Content Boxes. Notification Boxs – 5 diffrent type of Notification boxs. Custom Icon Lists – 34 diffrent type of Icon Lists. Share Icons – 3 diffrent type of share icons. Highlighting Text – you can highlighting text with diffrent background and font color.